XTC 2 Clip Tool v.1.25 is out! Added support for Desire 628 dual SIM and HTC One M9 Prime Camera! Please note, that the listed above features may differ from model to model. Please read the detailed manual, which can be found here. XTC 2 Clip is supposed to support the whole range of HTC phones; however, the features may differ from model to model. Please note. The above list is not complete! 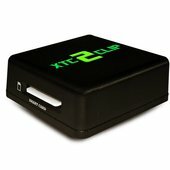 XTC 2 Clip Power Adapter - the new revolutionary add-on for your XTC 2 Clip! Using Power Adapter you can S-OFF / service phones with Java Card Version 7! No more need to unlock bootloader! No more need to root phone! Remove FRP from any supported phone, even if it's S-ON! Full support for phones with unlock bootloader disabled, including Verizon phones, etc. 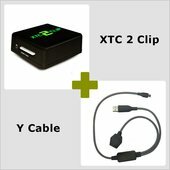 XTC 2 Power Adapter is an add-on for your XTC 2 Clip, it's not a standalone product. Internet connection is required for operation. This cable is required if the phone you are working with does not have a Micro-SD slot. XTC 2 Clip protected by Smart-Card - 1 pc. XTC 2 Clip Flex MicroSD Cable - 3 pcs. XTC 2 Clip Power Adapter - 1 pc. Y Cable for XTC 2 Clip - 1 pc.